Dedicated to Perfection, & Involved in Every Step of Your Experience. Our plastic surgeon, Dr. Neal Goldberg, prides himself on understanding each patient’s goals, and being involved every step of the way – from initial consultation to removing stitches. Board Certified, Extensively Trained, and Experienced in Every Aspect of Plastic, Cosmetic, and Reconstructive Surgery. 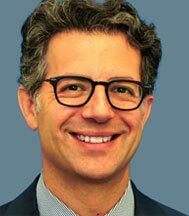 Dr. Neal Goldberg is a cosmetic, reconstructive and plastic surgeon practicing in Scarsdale and Dobbs Ferry, NY. He has been practicing for fifteen years providing the highest quality surgical and non-surgical cosmetic treatments, including tummy tuck, breast augmentation, blepharoplasty, dermal fillers and more. In addition to being on the medical staff at multiple Westchester hospitals, Dr. Goldberg offers most cosmetic services and surgeries at his private Scarsdale operating facility. Consultations can be scheduled for either the Scarsdale or Dobbs Ferry offices. How can we help you fine tune your beauty?